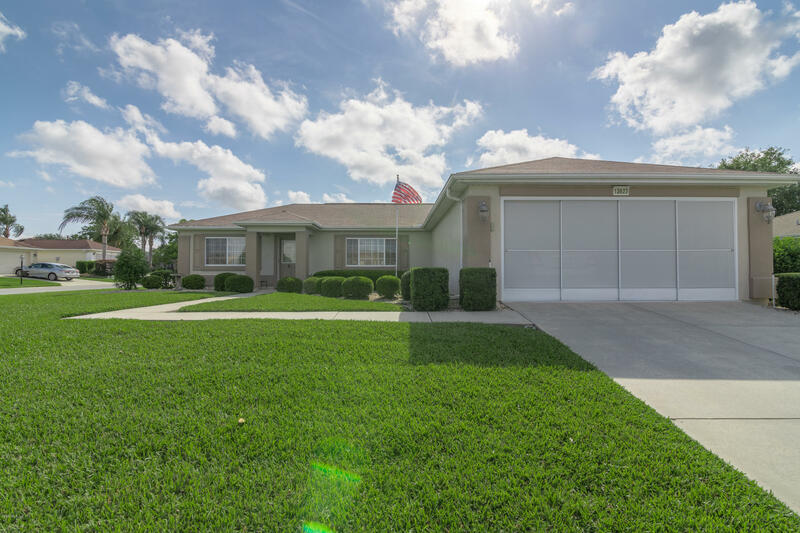 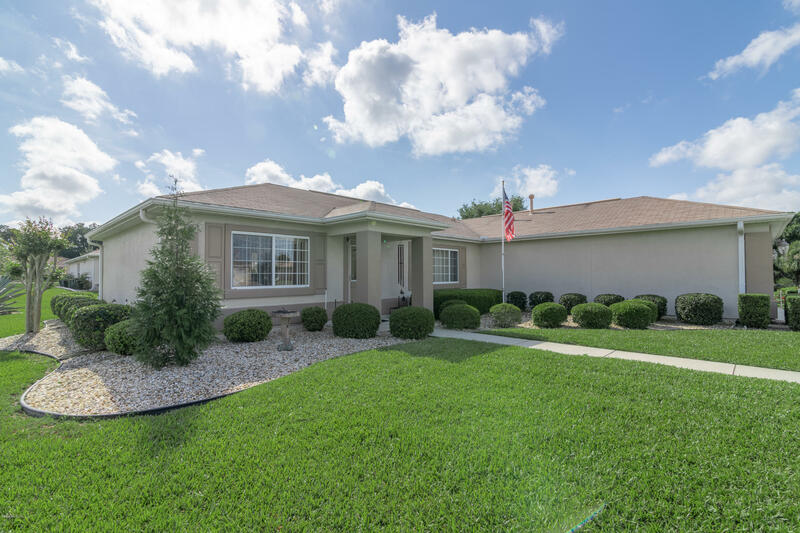 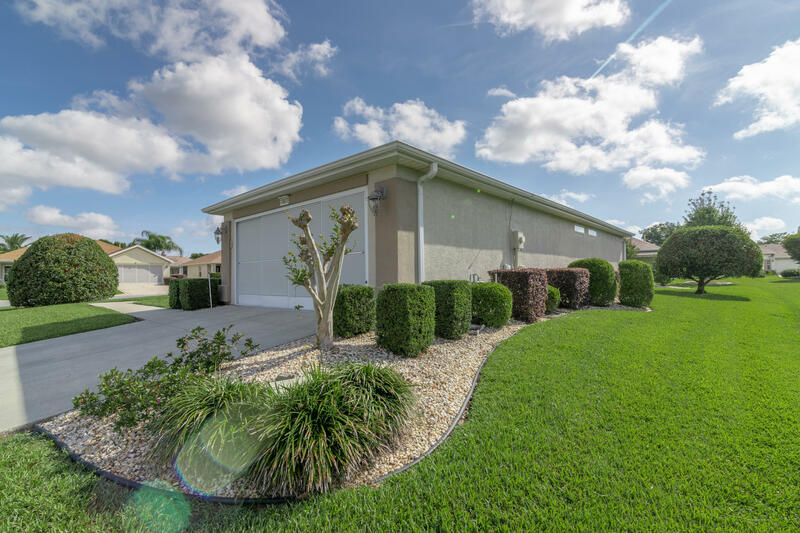 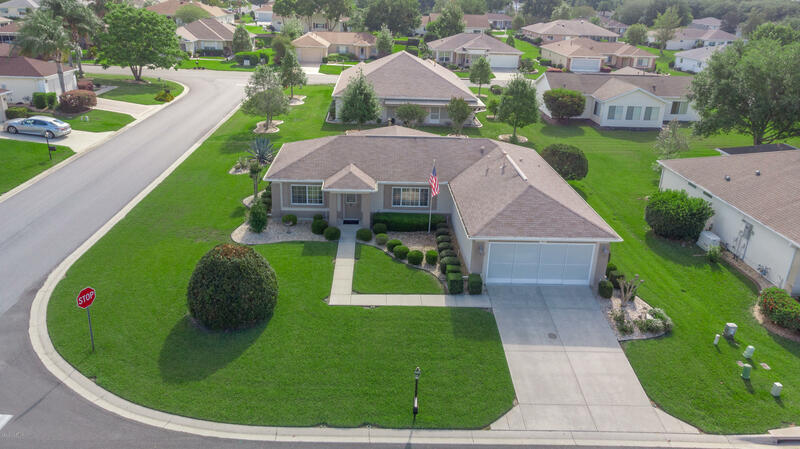 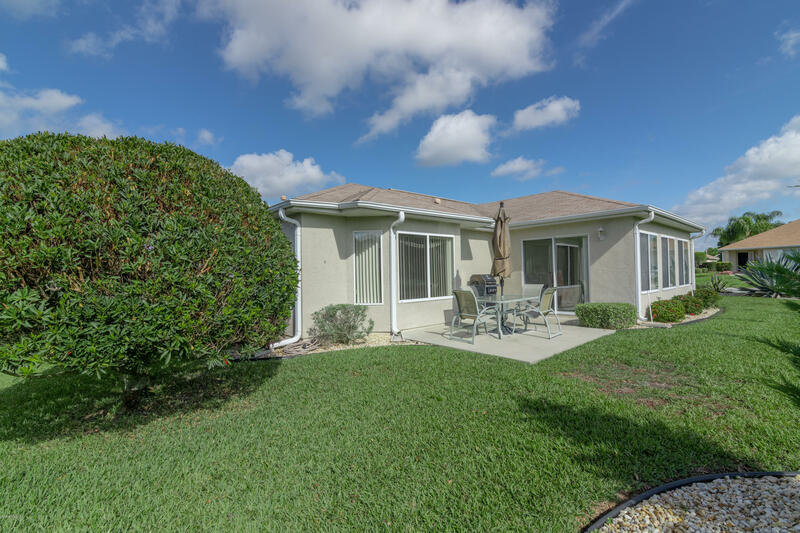 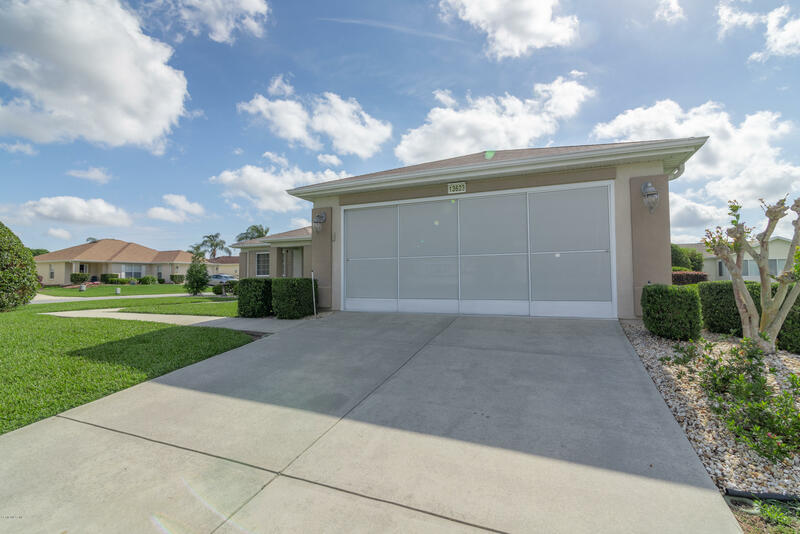 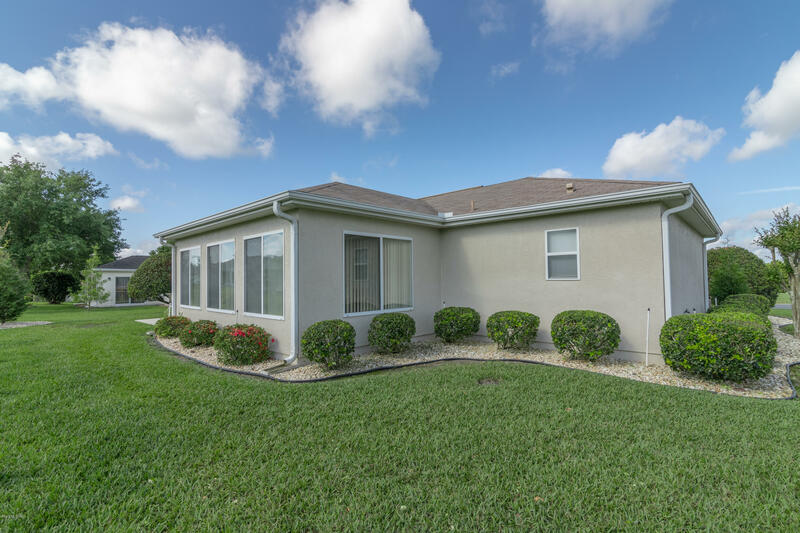 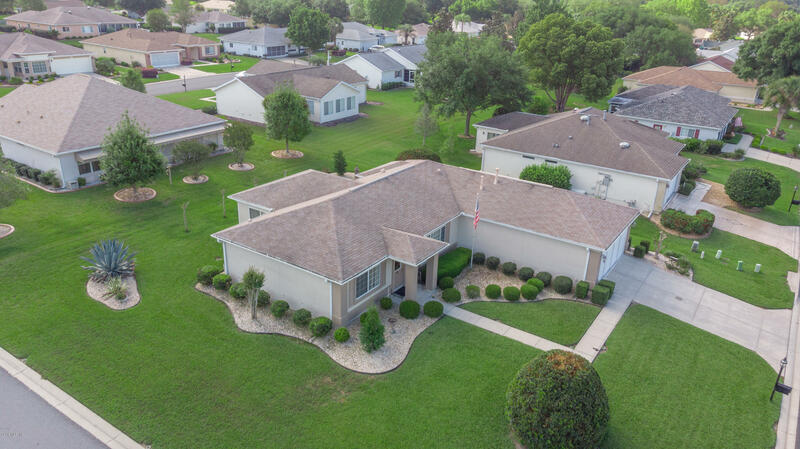 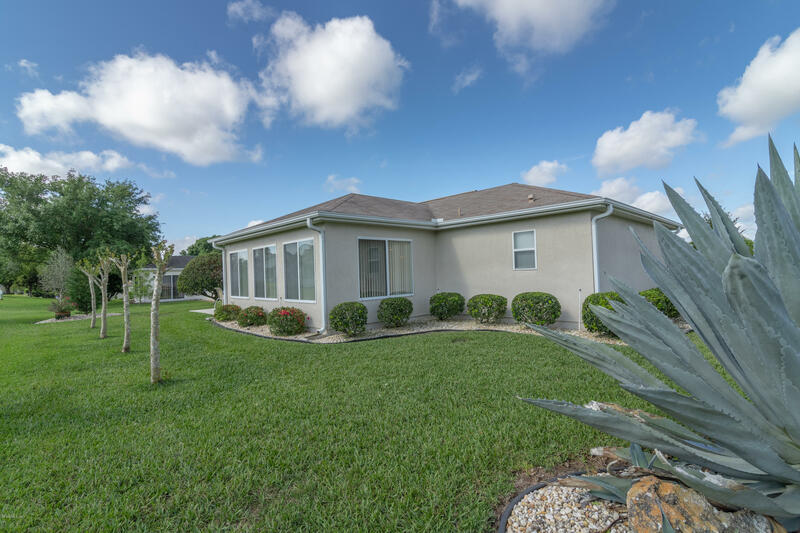 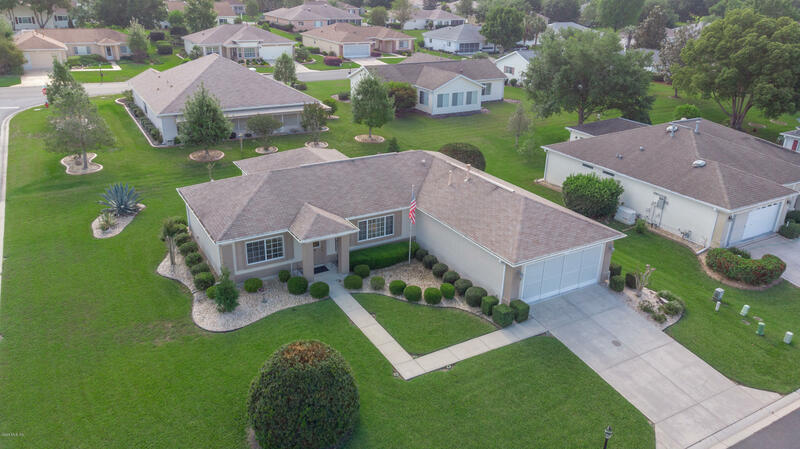 13623 SE 89th Court, Summerfield, FL.| MLS# 554373 | Spruce Creek Realty...Retirement Communities in Florida, Resale Homes In Spruce Creek South, The Villages, Stonecrest, Del Webb. 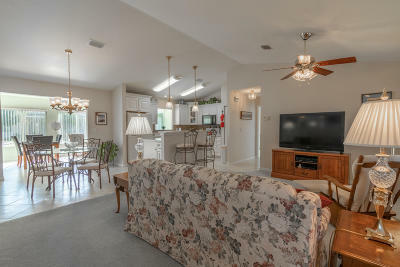 Immaculate (inside and out!) 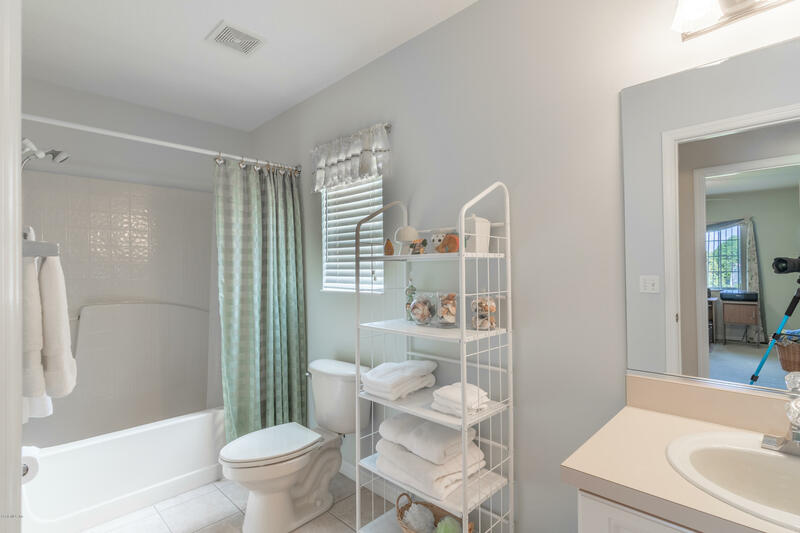 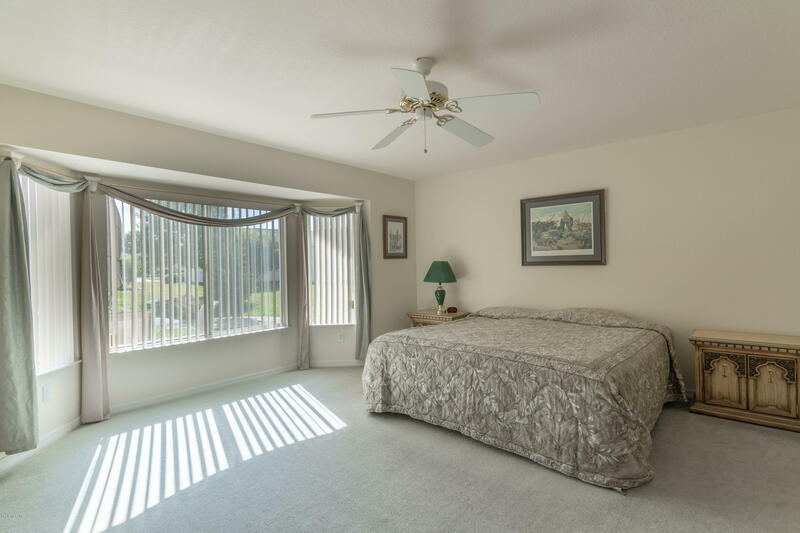 two bedroom, two bath Chesapeake model in Del Webb's Spruce Creek Golf and Country Club. 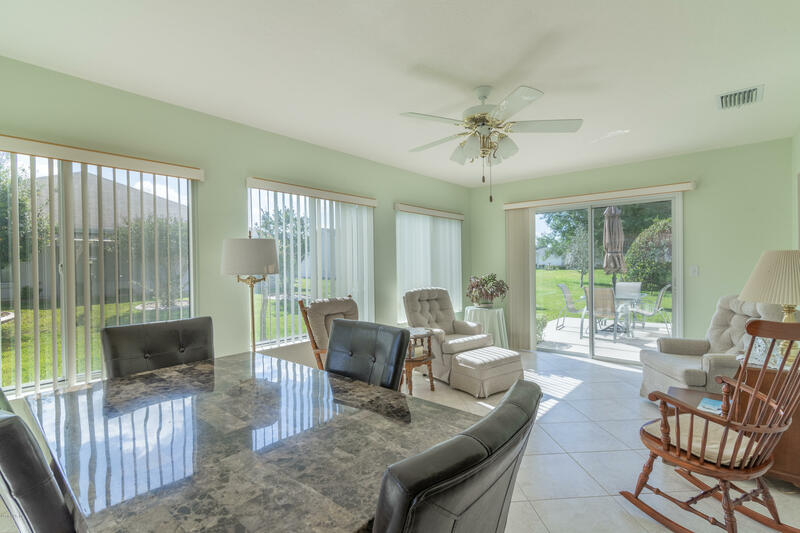 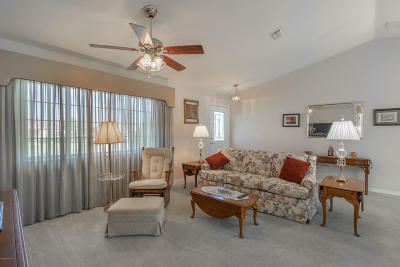 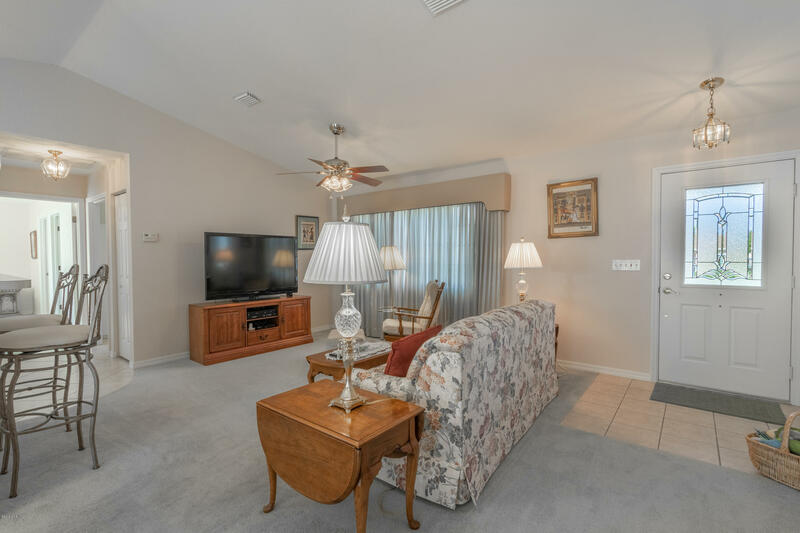 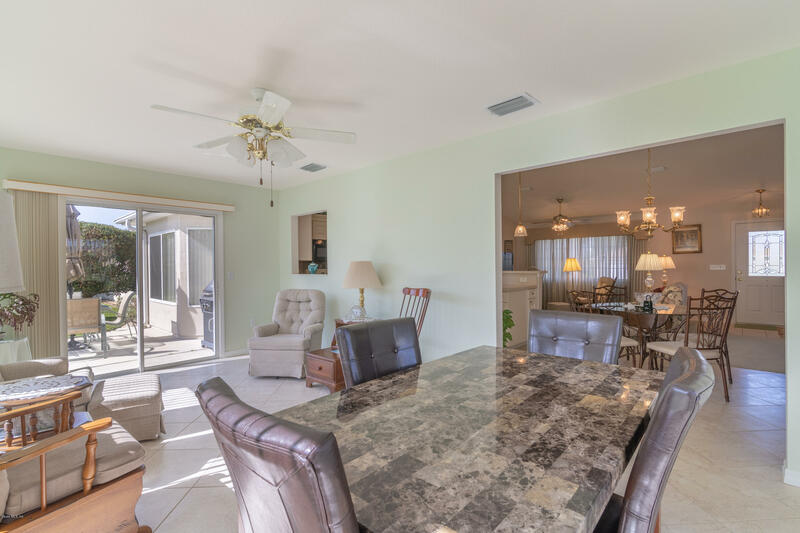 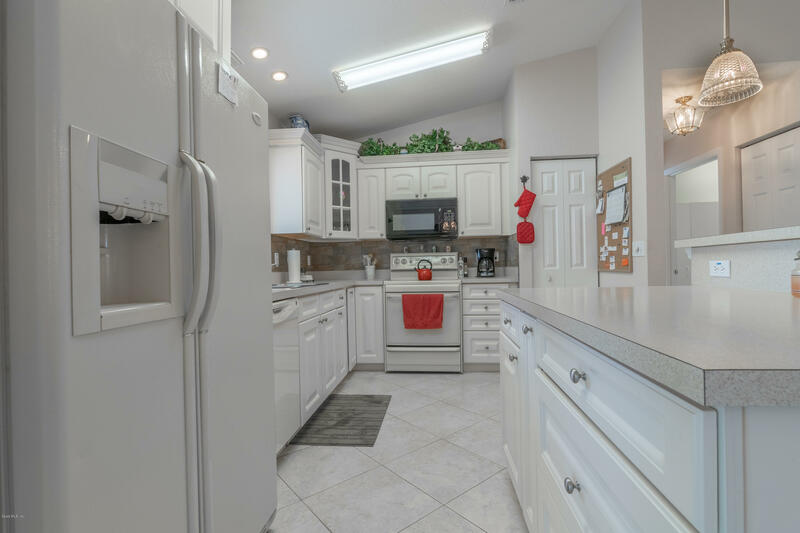 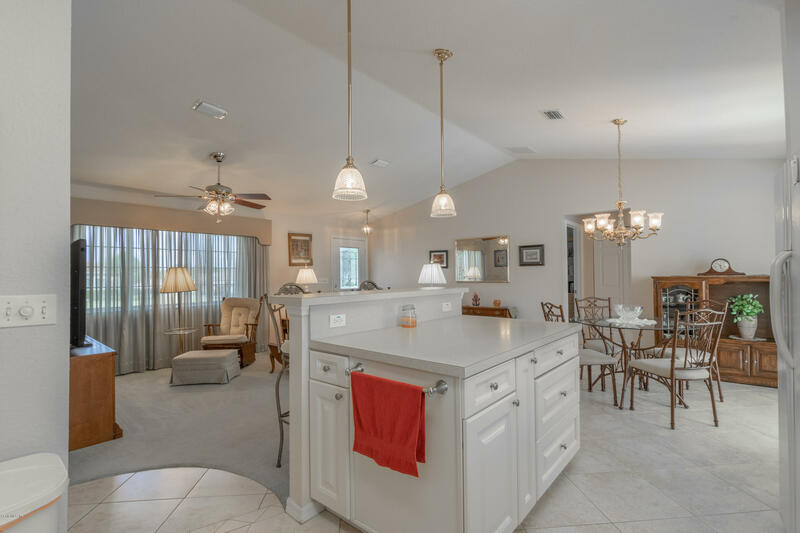 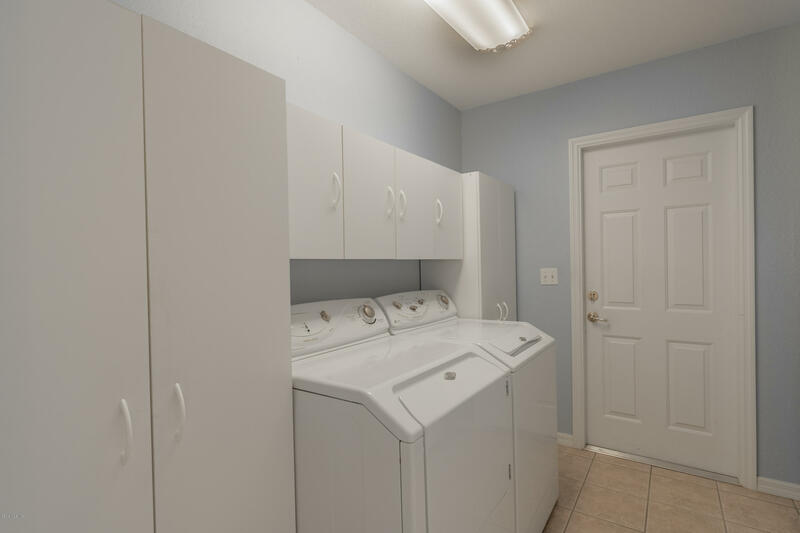 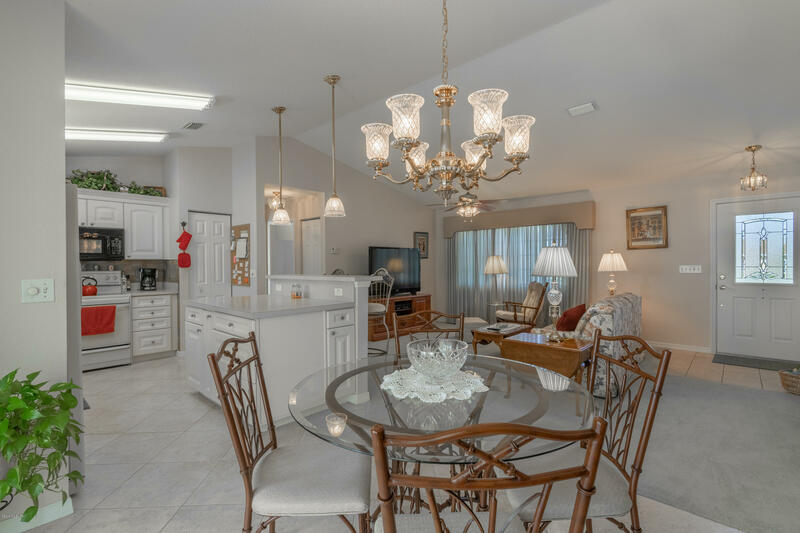 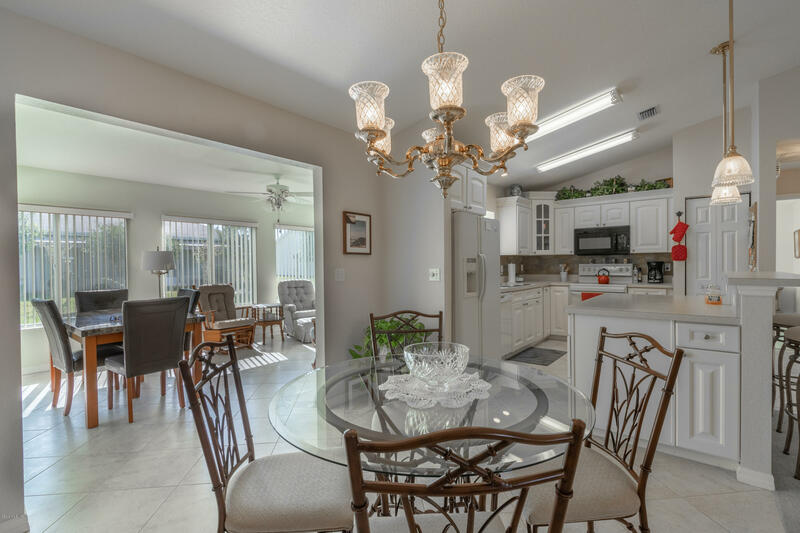 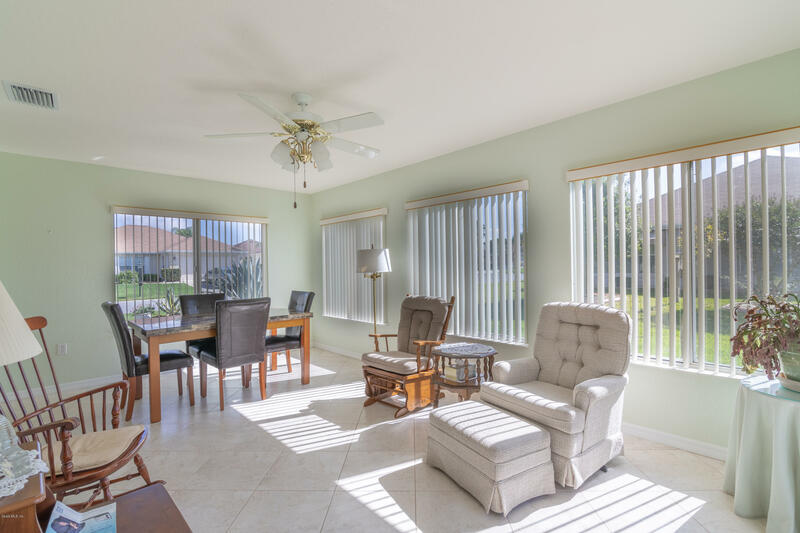 The living room and dining area are conveniently located right off from the kitchen and the spacious Florida room (under heat and air) in the back is the perfect spot to relax in the afternoon. 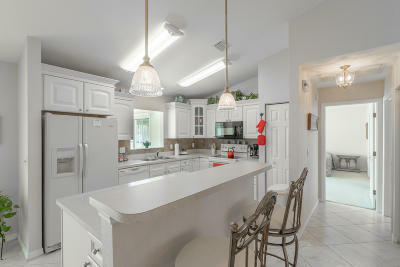 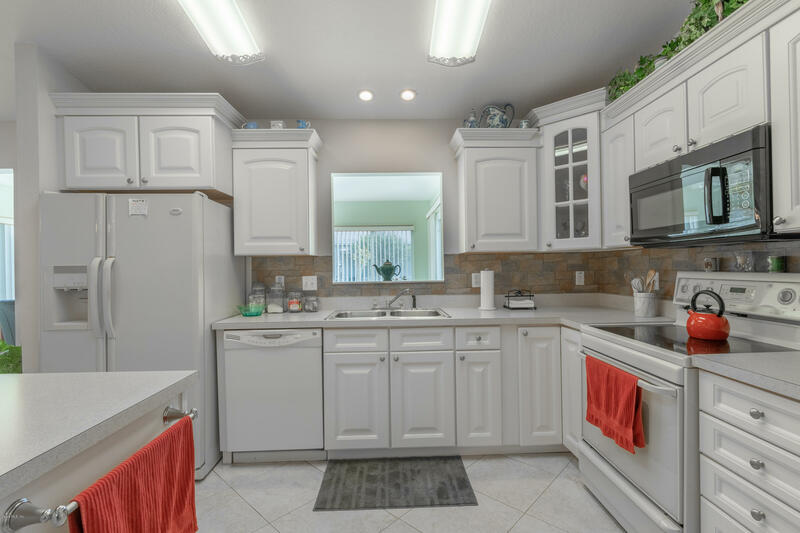 The kitchen has an over sized island with a breakfast bar, upgraded cabinets and a pass thru to the Florida room. 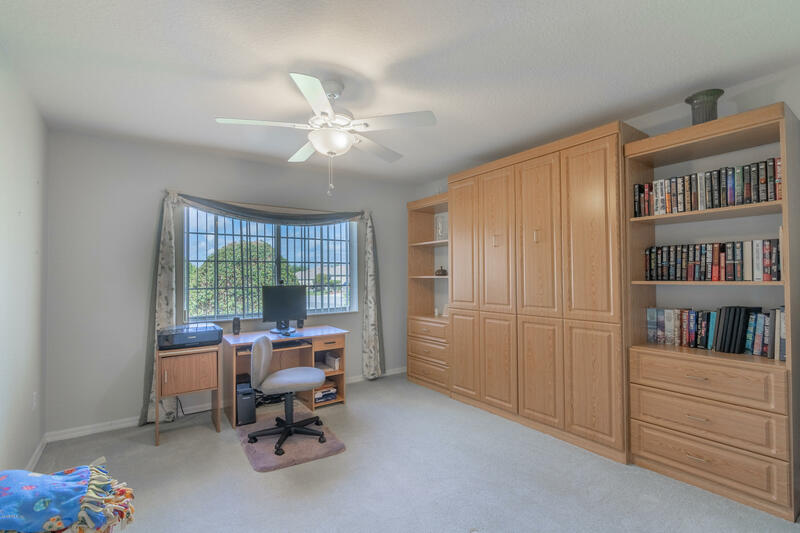 The guest room does include a queen size Murphy bed. 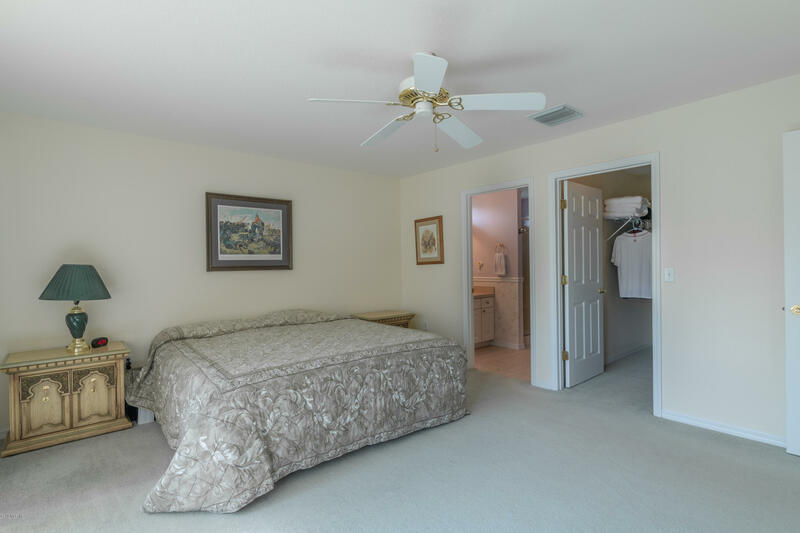 The large Master bedroom offers a bay window and a walk in closet. 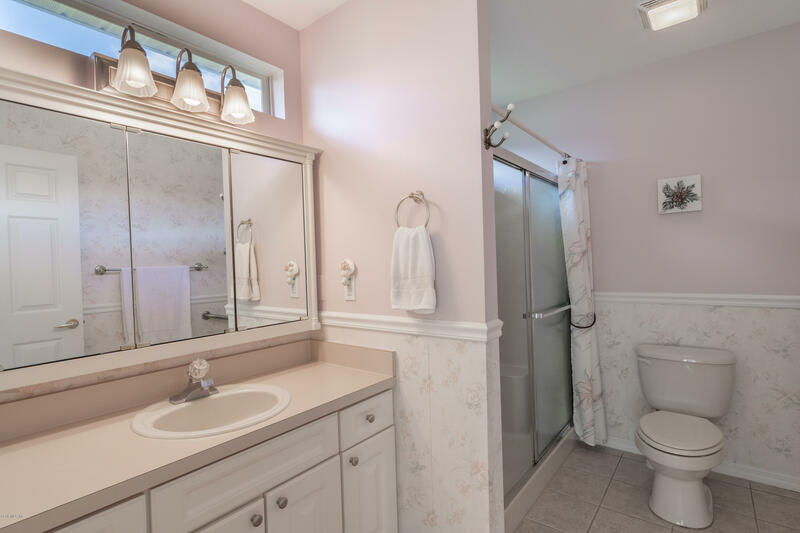 The Master bath has a walk in shower and stationary windows to allow extra light. 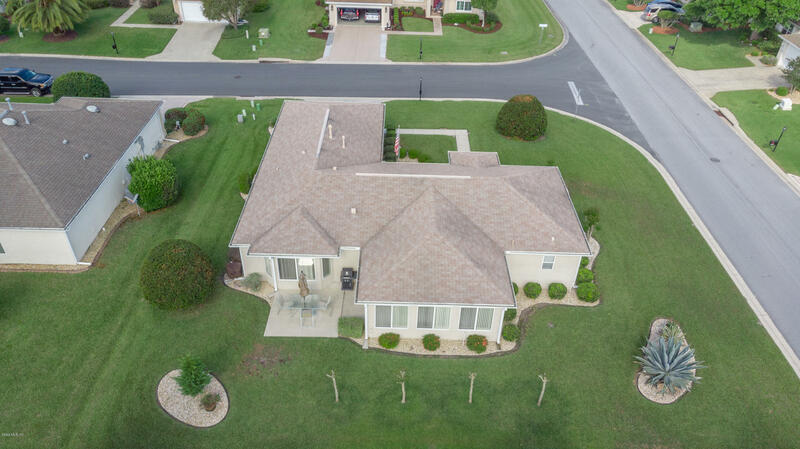 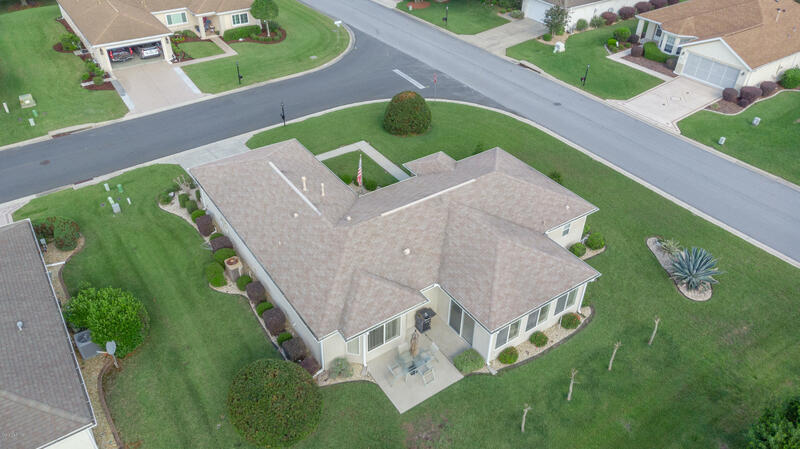 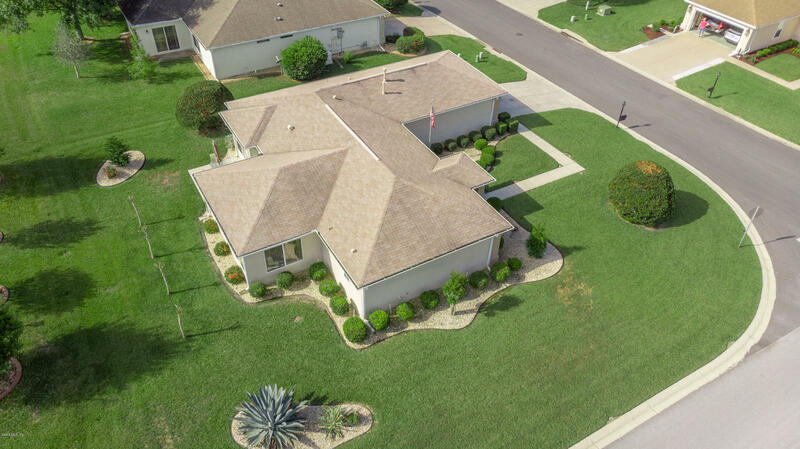 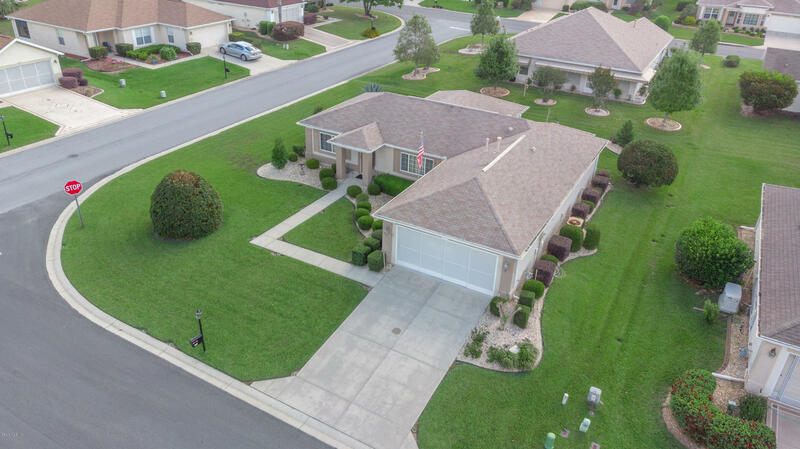 Many upgrades throughout... crown molding, vaulted ceiling, water softener and extended garage with screen. 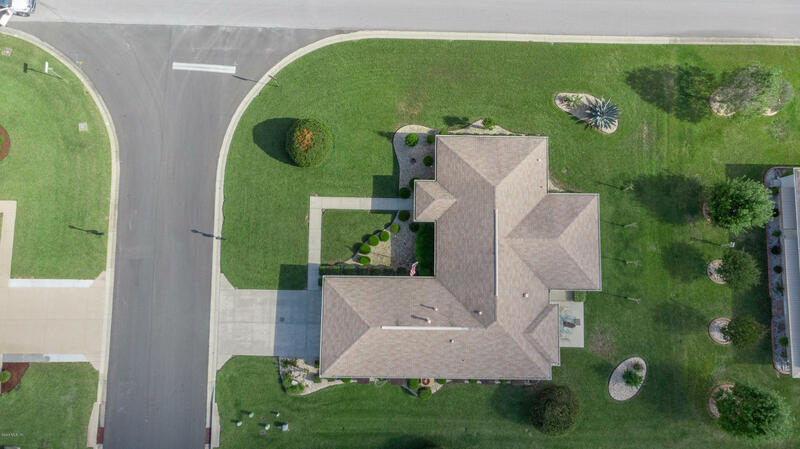 This one will impress from the moment you drive up!